Green, white, red and delicious! Even though dinner at Mòle in the West Village was delicious I wasn’t planning on blogging about it. (No particular reason, just wasn’t going to.) But the chicken enchiladas I ordered practically begged to be photographed… and then devoured like they were the last enchiladas in New York. On Saturday night Mòle was packed, with people taking up every inch of free space in the restaurant and bar, but I’d say the food was worth the wait. 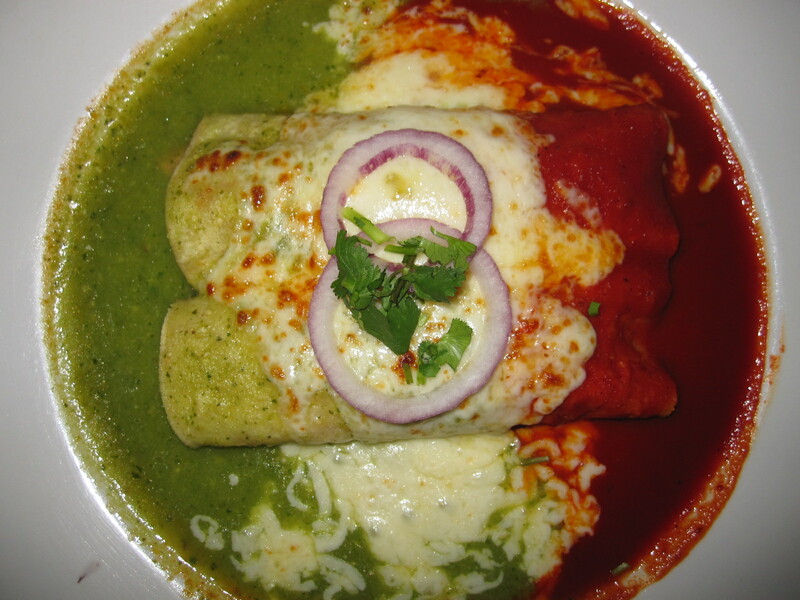 These enchiladas, smothered in hot gooey cheese and dressed with both spicy green and red sauces, made a delicious edible representation of the Mexican flag.